I didn't get a chance to use the app at all. I downloaded the it and was very excited to begin using it, but the app wouldn’t even let me start anything. After creating my account, I couldn’t leave the subscription page. Overly frustrating! Please fix. I started using the app in mid March. It stopped working after the last update. Now I can’t even open the app. I’m deleting it and looking for something else. Good ideas, but slow when it works and otherwise buggy. I was a really happy Mvelopes user for over a year. Then they updated to version 5, and now I haven’t had mobile access for 3 months. That is absolutely absurd. I hate the desktop version and the link to download version 4 still takes me to version 5, so basically I’ve been without it for 3 months. Not cool!!! So take a good free app that worked well and lower its performance and start charging for it and you get one star. I didn’t have service on my phone for a month because they were rolling out version 5, and I asked for refund. No response and no refund. I’m trying to find out how I can simply say “this much is how much I will be paid this month and these envelopes have these goals and only change a little each month”. Figuring out how to make that happen is soooo difficult. It is almost as convoluted as YNAB but at least you quickly realize that they have a different idea about funding up front. So much of the Mvelopes online documentation is for a much older version of Mvelopes. It makes you think you can do simple things. But much like YNAB, that was the Original idea. 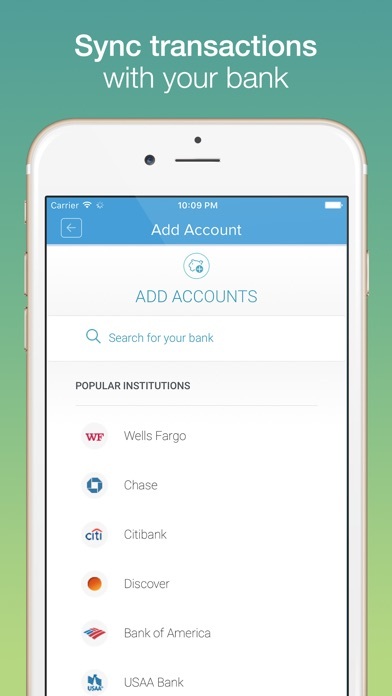 Now we have crazy new ways of making you confused about the status of your money. It used to be a good app, when it was useable. It has been over two months and even after contacting customer service, nothing has been fixed. If they ever do update my account from version 4 to version 5, I’ll have to go through 2+ months of transactions. No thanks, I’m done. NO FREE TRIAL. THEY CHARGE YOU IMMEDIATELY. Im not usually the person to write negative reviews. I used mvelopes for a long time (2 years or so) and it worked very well. I was pleased, but this new Mvelopes 5 update has caused everything to hit the fan. There is no easy way to access their team since I can’t access the chat via logging in. Zero communication from the mvelopes team gives us zero clarity on the situation. Both the mobile app and the desktop login won’t load my data into the new platform. Probably will switch to every dollar. If I could give a negative I would. They updated my app to a version that doesn’t even work then tell me to download another app to get back to the original one. The TestFlight app keeps sending me to the payment set up for Apple. To me this means I will probably get charged twice because I had my payments set up direct. Last name at least 3 characters? My last has only 2 characters. This damned app does not allow me to register and telling me that last name must be at least 3 characters. So you want me to change my last name? Hum??? Terrible app poorly designed. Integrations are terrible. Better off in a beta or alpha form. Support is terrible. They have been charging me double for the last couple of months when I reached out I got nothing back from them. DO NOT DOWNLOAD. This company has finally, completely, depleted my trust and loyalty. Mvelopes has been my budget software since 2009. I told everyone I could about it over many years, but always with a caveat that they’re not the best at updating/user interface. But it was a tool that had the functionality that I needed to manage my money. However, 10 years of patience and the absolutely horrible, slow, often accusatory, and rarely-owning-their-fuckups customer service when any thing goes wrong (about once per quarter), and now the phone app being completely inaccessible (asking me to subscribe, when I ALREADY HAVE A SUBSCRIPTION and giving me no feedback or workaround) has done me in. I can’t muster up the energy to pull the teeth that it takes for CS to fix it. I’m jumping ship to another software (YNAB), and apologizing to all my friends and family for getting them in this mess, too, which is so disappointing. I love the concept of the Mvelopes program but their customer service is a complete waste of time. I have had syncing issues with my bank for almost a year and their “integration team” is always working on it. They say they will email you when things are fixed. Well, I have yet to get an email stating anything has ever been fixed .... ever. I get the emails that are sent at 24hr and a week to let me know that it isn’t fixed but nothing else. I have put in a lot...a lot of tickets because it consistently has issues with syncing. At one point they said I should just download the transactions manually. That was their fix...do it on my own. Well, that is why I spent the money...to have things automated and make tracking my finances a little easier. If I am going to do things manually I can set up my own database. I won’t even begin in the faulty transition to Mvelopes 5 which ultimately ended in me starting from scratch. Besides fixing the things stated earlier I also think it would be great to have the ability to hide closed accounts. I would love to give a 5 star because it is a great idea and if it were reliable I would do so, but right now it is horrible. Loved the idea of this app but it wasn’t super user friendly. Why would you send an update out and then have it automatically tell me to go back to version 4.0? Did you not test it first? Bad business move and it makes me wonder if it’s safe to trust you with my banking data. Get it right before you send out an update. I’ve used this app for a couple of years and it was the absolute best so paid for a subscription. Now, I haven’t been able to use the app I’m paying for for the past few weeks. I can’t even login, it’s completely useless. I’ve been waiting patiently hoping they would resolve this issue but it’s been long enough. This is frustrating and I need my money back! 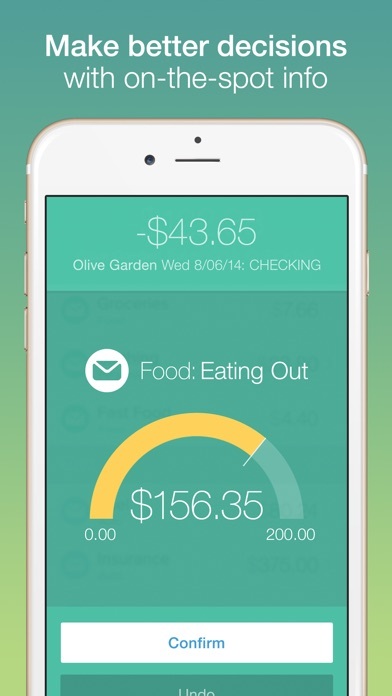 Used to be the absolute best app for money but now they are absolutely horrible. Zero customer service ever since their “update”. Honestly seems like they screwed up their update and then just unplugged because you get zero help now. Deleted all my transactions for the last month after being told I would not lose any of my data. Their true colors shine so I would run away from this app as fast as you can if you value accurate budgeting tools and customer service. At this point feels like they took my money and ran. I truly enjoyed this app, but have soured towards it after a poor customer service experience. I’ve used the app for over a year, worked through a few glitches, then recently had the app freeze upon opening and was unable to load even after restarting, force closing, etc. after communications with customer support, I was assured that I wouldn’t lose any data if I uninstalled and reinstalled the app. Proceeded to follow their instruction and lost all of my data for a budget that had taken months to perfect. When reporting this, support responses came to a halt. So the app its self is good but it takes forever to get a hold of someone if u have a problem. I had been locked out of the app for about 2 weeks and kept getting a message from them saying they were working on the problem but when I finally called, they needed me to do something but had no plans of contacting me and letting me know that. Also, now that they have updated to Mvelopes5, I’ve been locked out for another 2 weeks and really am not getting much direction. I have used this app for about 6-8 months. 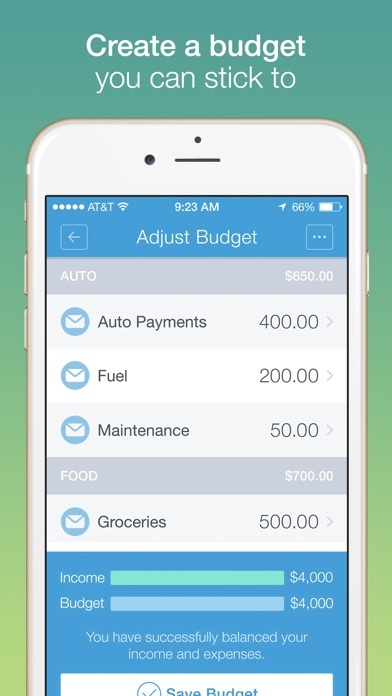 Recently, I set my budget using the online platform and it won’t sink up to my phone. Totally useless. There are lots of bugs and it is not user friendly. Steer clear. Where Did All My Data Go??!! I’ve been an Mvelopes user for over 15 years, and its had its share of ups and downs, but with the latest upgrade I’m in shock. After being locked out for weeks (stuck on the payment screen even though I’m current), customer service helps me get in. Whew-finally! ONLY to discover I now have over 4000 unassigned transactions instead of about 40!! Missing envelopes, too! I sure hope my data hasn’t been lost-THAT would be the end of my long-term relationship with Mvelopes. So I go to open my Mvelopes app and I’m asked to log back in. Ok, I guess I received an update. Now I’m told that my account is not ready for the new app and I have to download some work around to get the old version back. I’m told I will receive an email when my account is ready for the upgrade. Yeah right. I’ve waited on those emails before that never came. Accounts not syncing, Adobe Flash not working with Chrome, constant app issues. I love the concept but there are just too many issues. I have been an Mvelopes fan for over 10 years. 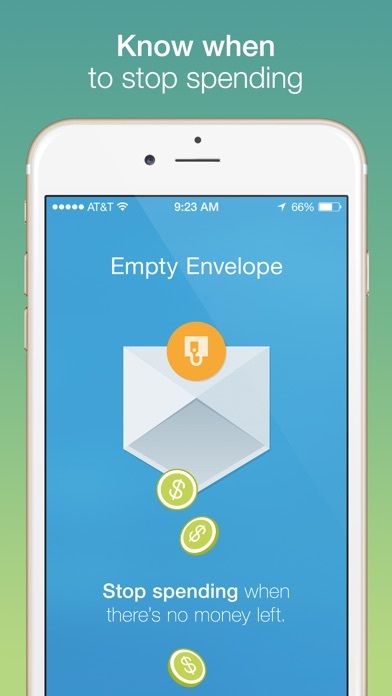 I haven’t found another program that does envelope-based budgeting as well as this. However, the upgrade to version 5 has been an absolute nightmare. I’ve been migrated back and forth 4 times now from version 4 to 5, years of data has been lost, and the support team doesn’t even read the questions I ask and twice now just pushed me back to an older version after painfully trying to get all my data. Now, that I’m on version 5 and figured my last year’s data was lost, my balances are off, I asked the question how to reconcile account balances and am told it doesn’t exist in this version and they think it “might” be a good idea to add that as a feature. I don’t know what I’m going to next, but what a disaster this migration of all their customers has been. I’ve been a paying Mvelopes user for nearly 10 years and it’s been a game changer! Well, that is until v5 came out - the interface is a bit too much as it seems they steered away from the past versions’ simplicity. The app is terrible because it either 1) doesn’t sink up with the online program, or 2) doesn’t open at all. Both are super frustrating. If this is not fixed soon I will be forced to switch companies, which I really don’t want to do! I have nearly 5000 transactions previously categorized before they upgraded me to V5. Now they are all sitting in my inbox, like I have to start over from scratch to recategorize them. This app is a great idea but it has a ton of bugs. I used it for several months and the desktop version is obsolete, the app is confusing to navigate, transactions would appear multiple times, “funding” wouldn’t work as expected, etc. It’s also possible to have multiple log-ins with the same email address- so it’s really easy to create duplicate accounts. The best “help” resources for figuring out if the app is bugging or if you’re using it wrong are all YouTube videos that are a bit outdated. Lastly, you can unsubscribe multiple times in a row, so it’s not clear if it’s actually working or when your subscription will officially end (if you pay $4 for the month, the subscription should play out but messaging isn’t clear about this). There’s no way to delete your account. Great product concept but the continual technical issues is insane!!! It will affect your ability to use and have access to your data and it’s the most frustrating thing ever. I have used this app for several years now but it’s time to move on. I even recommended the product to a friend and the technical issues kept them from moving forward. I can’t even get into the latest version of the software (5.0.2). It asks me to sign up even though I have an active subscription. When I click “resync” it crashes the app. 100% broken... Did they even test it? Why mess with what worked!?! Version 5 is awful! Well, as if the app wasn't slow enough, you forced me to update to 5, and now it doesn't work at all. Both my wife and me are down....so much for new and better. I am getting pretty tired of an app the barely works, crashes no stop and now won’t even let me log in. 5 is just a HOT MESS! Really liked the app until the upgrade now it’s HORRIBLE! I use it across several devices so everything is just jacked up! Very disappointed! I don’t know what else to say. V4 was okay but v5 doesn’t work at all. I lost my lifetime plan and it won’t let me continue past the first screen to do anything. I have to continue using v4 desktop/browser app. Mvelopes system is general is amazing and life changing. But that doesn’t matter when the technology behind it is a colossal failure. Due to a BOA issue and issue with the update I have only been able to use the app (that I pay for) for 9 of the past 35 days. In every correspondence with mvelopes over the past month I’ve asked if they plan on compensating their customers for the time they were not able to use something they have paid for. No one will answer that question. As I’ve already communicated with mvelopes, every company has glitches and issues. I judge a company on how they handle those problems. MVelopes gets one star for how poorly they have handled the last 35 days. Duplicate transactions, no way to delete them, bank feed errors, unable to edit date and amounts on funding of envelopes after entry. For the two years I used it, Mv4 was a great product that I was happy to pay for and recommend to friends. Currently finding a different solution. 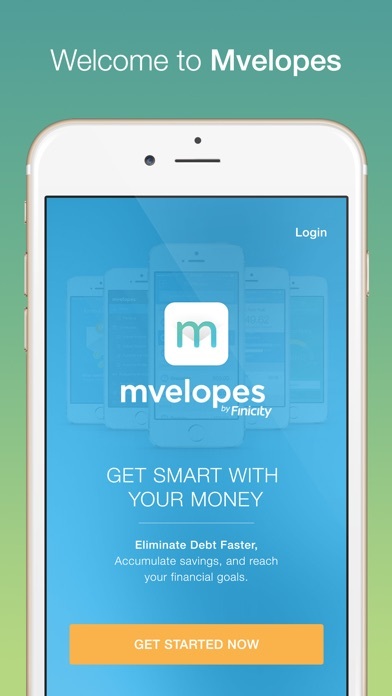 I used to love Mvelopes, telling all my friends about this awesome budgeting app I use. Sadly, it’s gotten worse and worse over time. It’s very buggy, which I didn’t mind so much when it was free. Now that I have to pay, I have a much lower tolerance for syncing that doesn’t often work. One of my accounts hasn’t connected in a year. Another one, two months. Not sure they’re working on that any more. After another issue where my paycheck disappeared from my income envelope, and I was assured it was being worked on but nothing changed after a few weeks, I decided to cancel. Which only made me angrier, as it is needlessly complicated to cancel. You cannot click a button that says cancel, nor can you remove your credit card information from the site (exCUSE me??). Nope. If I can sign up clicking buttons, I should be able to cancel clicking buttons. Who has time to wait half an hour for a customer service technician to do that for them? Or are they just hoping you’ll give up before you get that far? This company will not be getting my money again. Not loving the new version. Been using it for 8 plus years at least. I’ve been through a few versions and I feel like this one has the least amount of features. I feel like I can’t manage my money as well as I used to. It isn’t as user friendly, not intuitive. I don’t like that I can’t see my checking account balance with with my pending transactions and pending bank transfers. They’ve taken all those features away. Started the free version two days ago. Can’t find any way to cancel so they don’t charge me. Going to try calling but from all the recent reviews I’m not to optimistic. **Update 2/4/2019** Changed to 2 stars due to the botched version 5 upgrade. This thing came out of beta with limited functionality compared to the previous version. I’ve already migrated to an alternative platform. While the older version wasn’t great, it worked very well. This new version looks good but doesn’t work well at all. I use Mvelopes religiously every day. They have helped me catch many problems before they became issues. I love the new, cheaper prices as I refuse to hand over financial information and logins to any free app or service. Unlike their so called "free" competitors, Mvelopes pays their bills with my money instead of my privacy and information. When you don't pay for a product, YOU are the product. Moreover, a few bucks a month for financial stability is cheaper than an overdraft or penalty from billers and banks. Switched to 5 and it’s a mess. Transition was not handled well. Submitted a tech support request days ago and was told 24 hours response time. It’s been days. Not a great way to treat paying customers. I want to like the upgrade, but it’s tarnished by the botched transition. The email from the product director today was not helpful. I love Mvelopes budgeting. The reason I gave the app 4 stars is because there are a few things the computer can’t do that the app can and vice versa, so I’m always having to switch between the two. It could be better if everything was sorted out and the versions were the same.